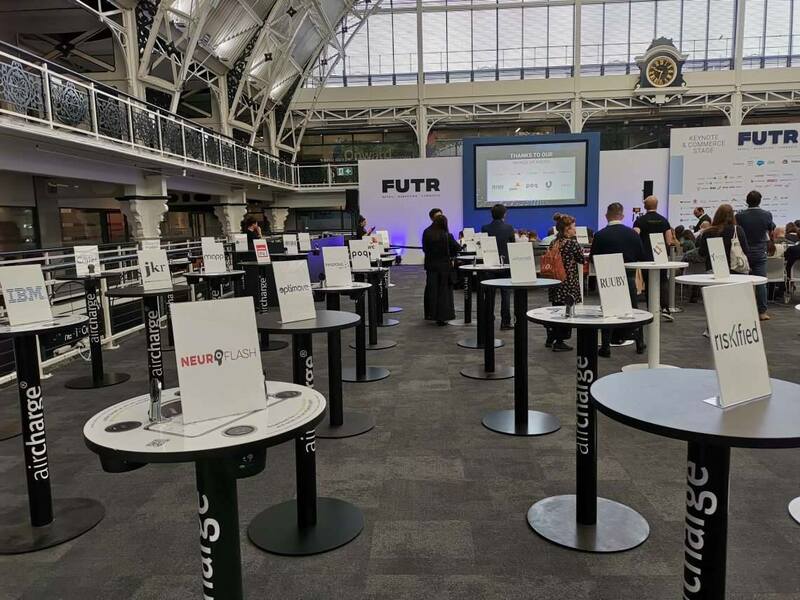 Aircharge is once again powering up FUTR summit at the Business Design Centre in London on the 24th and 25th of April 2019. We will be offering free wireless power to delegates and representatives of over 3,000 world-renowned brands. FUTR is the annual gathering of brands and retailers across Digital, Marketing, Ecommerce, Retail, Innovation and Customer Experience. It evolves each year to cover the freshest thinking, the most immersive showcases, cutting-edge stories, practical insights and real-time case studies of how the industry is evolving to meet the needs of their ever-changing consumers. The annual gatherings host 3,000 delegates, including 50% of which are brands, retailers and corporates across Digital, Marketing, Ecommerce, Retail, Innovation and Customer Experience. 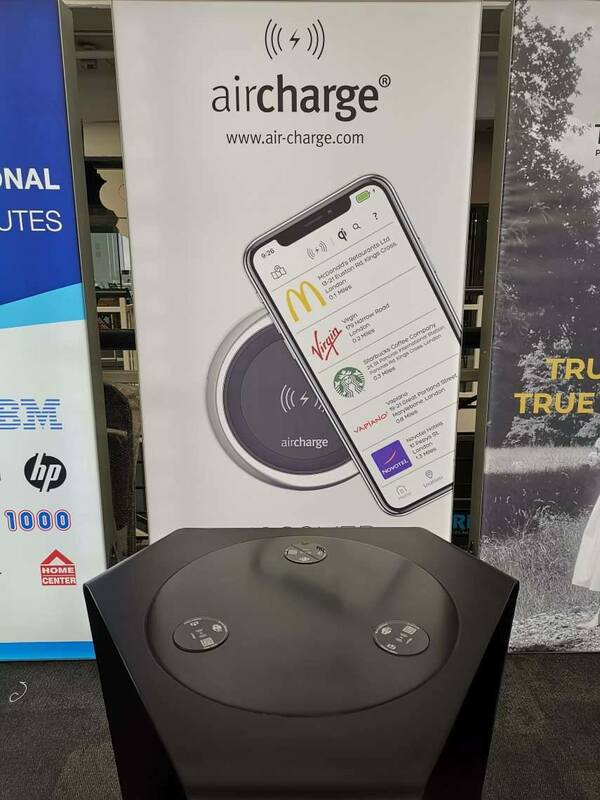 Aircharge is supporting the event by offering Qi wireless charging facilities at the venue so that all staff, presenters and visitors will be able to keep their phones fully charged. Aircharge provides unique battery-powered tables available to hire for conferences, exhibitions, festivals and events. No plug, just play. 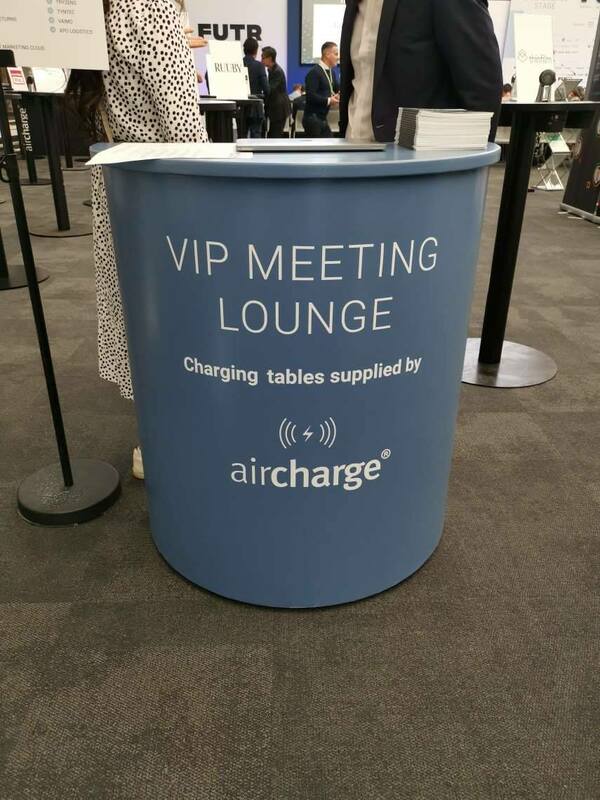 To discuss how installing Aircharge wireless charging can increase customer spend and satisfaction, visit the VIP meeting lounge and find the Aircharge team or send a message through the website.